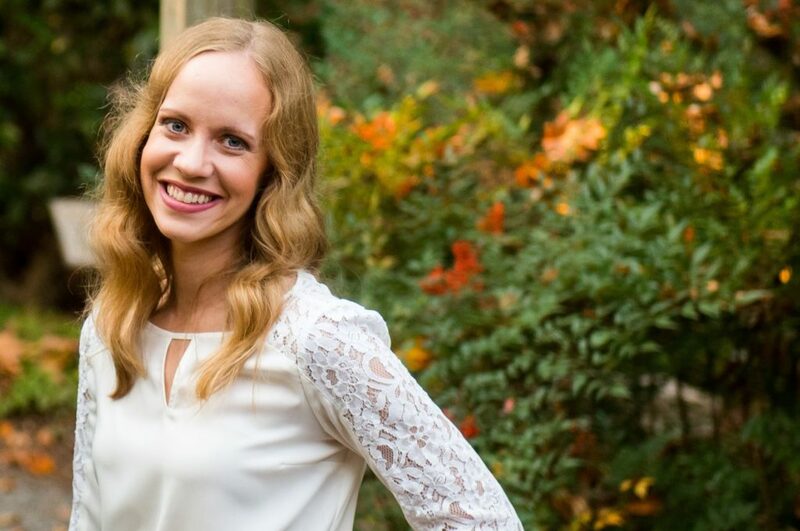 Hi, I’m Rebecca, the creator behind Roses & Whiskers! Do you know the song, “My Favorite Things” from “The Sound of Music”? Sing the lyrics along with me for a second: “Raindrops on roses and whiskers on kittens.” Get it? 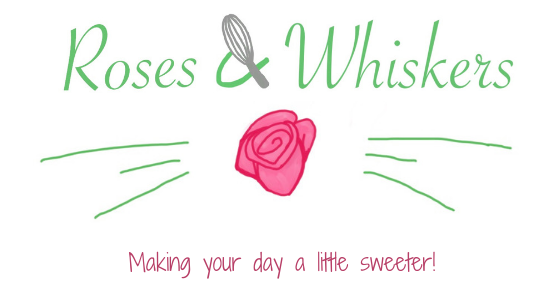 “Roses & Whiskers” signifies some of my favorite things, like baking, writing and creating. I’m probably one of the few people on the Internet who uses a Sunbeam mixer instead of a Kitchen Aid. But that’s what my mom taught me to bake on, and I love it! Especially the heritage series, which has a vintage feel. 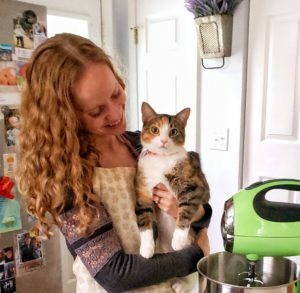 I’ll be using it to create some delicious gluten free recipes for you. If you’re not gluten free, don’t worry. You’ll be able to substitute gluten-full flour. But for the most part, you can’t even tell that my gluten free desserts are gluten-less! 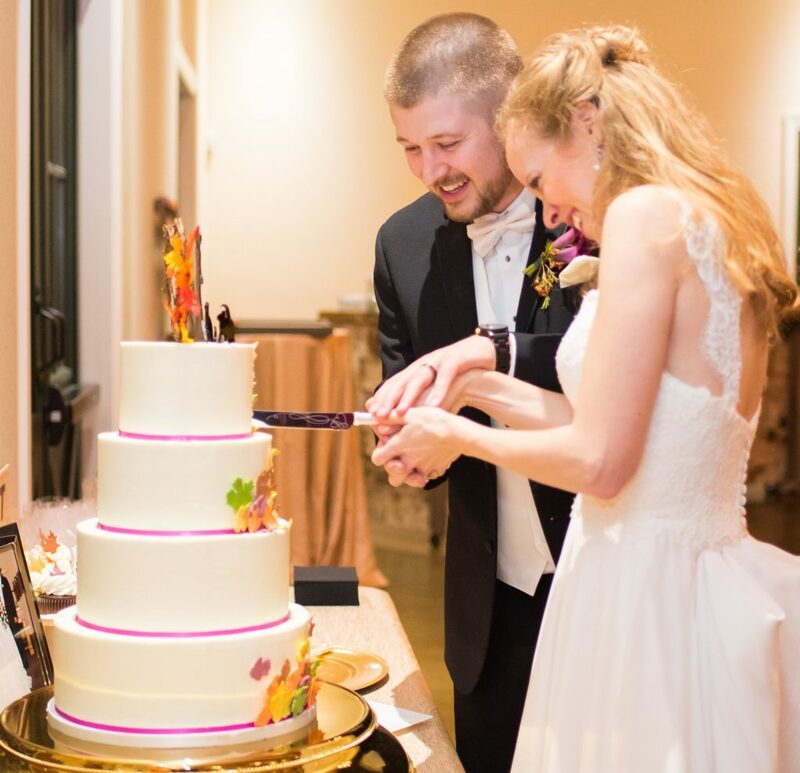 I loved crafting as a kid and rekindled my love for that kind of creativity when I planned my 2017 wedding. I have a very crafty friend who guided me through my long list of wedding DIY projects, for which I’ll be forever grateful. I still have a lot to learn but I’m excited to share some of my crafting projects so that you can try them with me! I’m married to a wonderful man (Ian) who is the reason this blog is up and running. Technology is not my strong suit. 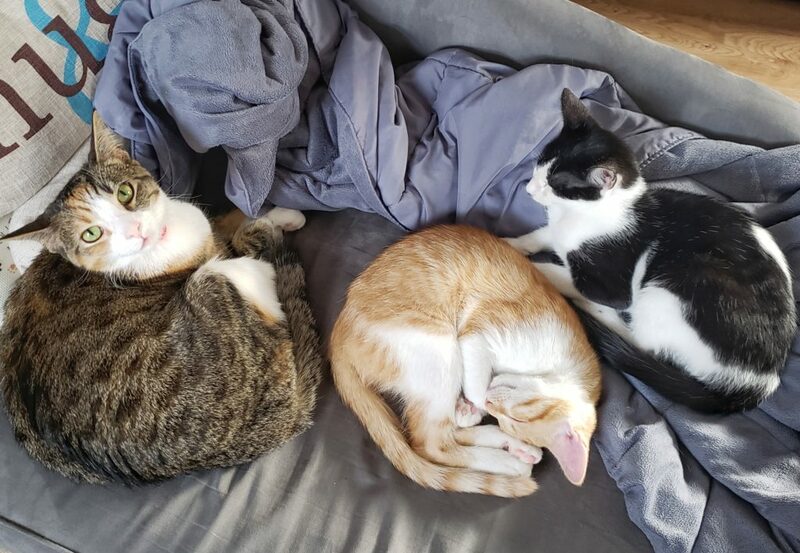 I’m currently a cat mom to these three furry felines: (from left to right) Clara, Dolly and Einstein. We lost our sweet Abby (left) and Benji (middle) earlier this year. They were only 10 years old, so needless to say we’re taking it hard. Clara (right) was especially depressed, which is why we adopted her two playmates. Clara is only a year old, and she’s loving her new kitten friends! Thanks, Christine!! 🙂 That means a lot!